The cool change sweeping through southern Australia has ended the heatwave but it has left an impressive contrast of weather across three states. 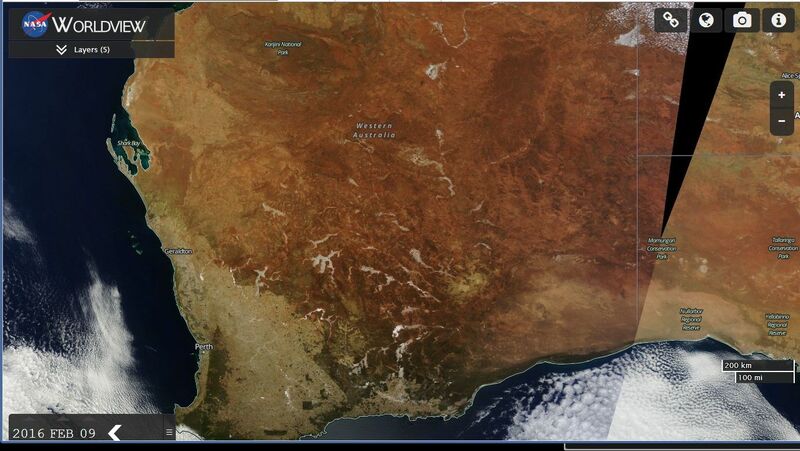 The NASA Worldview satellite image of southern Australia (Acquired from NASA 21/12/2015) is showing a strong north west / south east cloud mass across southern Australia and associated cool change. They were amongst the highest maximum temperatures for Sydney. Despite the north west wind, the heat did not filter across all parts of the city. Sydney's east was much cooler due to sea breezes. This lead to a warm night with minimums of 24C being recorded at locations including Penrith, and Prospect. For Monday 21 December 2015, maximum daytime temperatures across Sydney were recorded early and 30C was reached at locations such as Horsley Park, Penrith and Richmond prior to the cool change. It reached 32.5C at Penrith prior to the cool change taking hold after 1 pm. Up until 6.30 pm, the cool change has brought reasonable rainfall to a few locations including 52.2 mm to High Range Alert, 32.2 mm to Bellambi, 29 mm to Oakdale, 27 mm to Wollongong Airport and 24.6 mm to Moss Vale AWS. The same system has brought 1 to 18 mm of rain across Sydney to 6.30 pm (21/12/2015) with 18 mm at North Manly and 15 mm to North Richmond. There is also a fall of 32 mm at Webbs Creek (Wisemans Ferry). 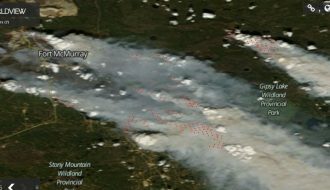 During Sunday morning as the heat was building, a smoke plume travelled over north west Sydney which is seen in the attached Satellite photo from NASA Worldview image (Acquired 20/12/2015). 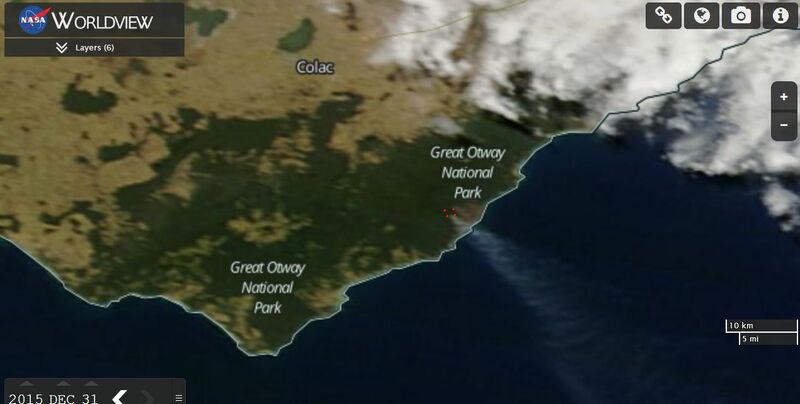 The smoke was emanating from a bush fire north west of Wisemans Ferry north of Sydney. Hot dry north westerly winds later dispersed the smoke but at the time the photo was taken just south of Richmond, the smoke was dense enough that the Blue Mountains to the north west could barely be seen. The photo looking north west from Castlereagh Road shows how thick the smoke haze was and why NASA'S MODIS satellite was able to detect it. An impressive temperature range was recorded across locations of the south coast during Sunday. For example, it reached 41C at Batemans Bay but at nearby Moruya, the maximum temperature reached was 26C due to sea breezes. Sea breezes heavily influenced temperatures where 25C occurred at Ulludulla but at Braidwood 665 metres above sea level, it reached 37.2C. Incredible high temperatures (South Australia) Saturday. On Saturday a maximum temperature of 47.2C occurred at Port Augusta which came on top of the 45.2C recorded on the Thursday while 45.6C occurred at Port Pirie Aerodrome. The recent heatwave has known to have caused a spike in people seeking treatment for heat exhaustion at local hospitals. 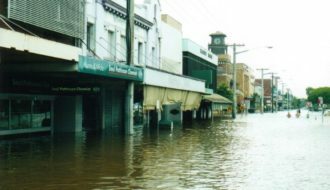 NORTH EAST VICTORIA – A REGION OF SIGNIFICANT WEATHER. Albury – A maximum of 41.5C recorded. 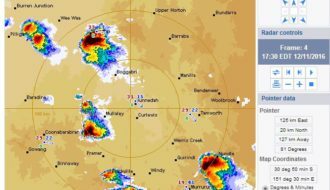 Wangaratta – Following the cool change, a thunderstorm passed over the town producing no less than three wind gusts of 93 km/h at 4.56 pm, 5 pm and 5.02 pm. During the storm, 23.6 mm fell including 6 mm between 4.56 pm and 5 pm (6 mm in 4 minutes). The maximum temperature recorded here was 41C at 1 pm but at the time the thunderstorm passed over, the temperature had fallen to a comfortable 25.3C. 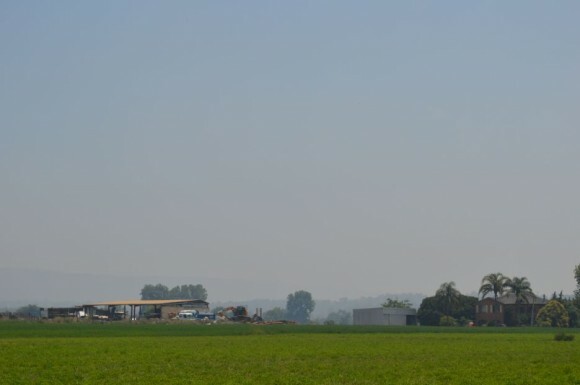 Barnawartha / Wodonga – A significant grass fire / bushfire burning out of control across 7,000 hectares during the afternoon tested emergency services. 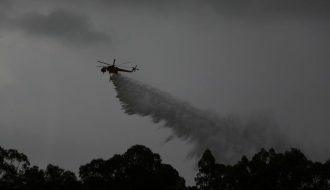 The fire burning from north west to south east under prevailing north west winds posed a serious threat to Leneva and outlying suburbs of Wodonga. The threat has now eased with the fire contained. Homes have been lost in this blaze. The cool change and even some rain has helped to ease the fire situation across that region. This shows the contrast of weather recorded before and after the cool change and why this was a significant event in its own right across so many regions.